An independent funeral director in York who offer caring support while helping bereaved families arrange a meaningful funeral. 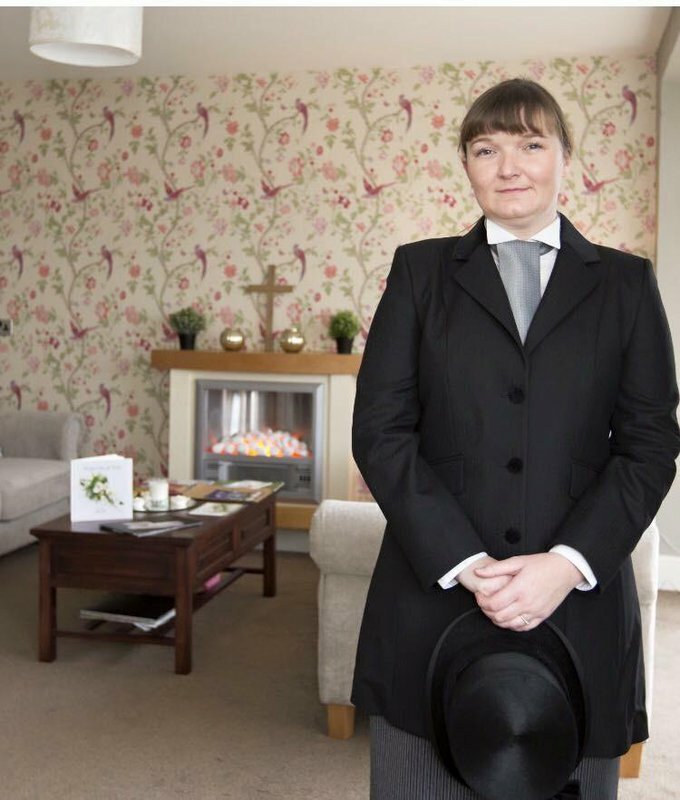 Hayley Owen Funeral Directors in York, are a highly qualified and caring funeral directors serving the local community in and around Yorkshire. Their compassionate team of professionals are available round the clock with help and advice, whether the family wants a religious or non-religious funeral. Hayley Owen and her team offer a range of services, from a traditional burial or simple cremation service to green funerals or a burial at sea. They are happy to support families organise a bespoke funeral service that are reflect their loved one’s wishes. They offer the option of home visits so that families may discuss funeral arrangements in the comfort of their homes. 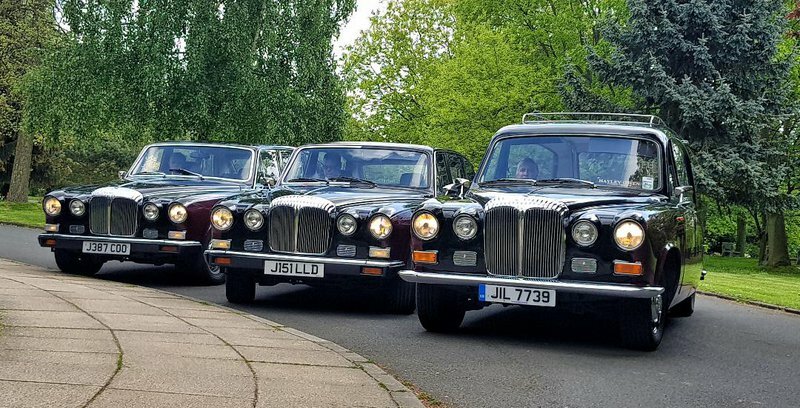 Also on offer are their prestigious fleet of vintage Daimlers which can be used as funeral transport. A typical funeral with Hayley Owen will include the collection and care of the person who has died, liaising with third parties, a classic Daimler hearse and a handmade coffin. Other funeral transport options include horse drawn carriage, motorcycle sidecar hearse, matching Daimler limousines or a vintage tractor or trailer. The York-based funeral directors have a tranquil Chapel of Rest which can be used by the family or friends to grieve or reflect on the memory of their loved one. Other services include an in-house embalming service, bereavement counselling and repatriation. The team are available 24/7 to guide bereaved families and provide caring support during a difficult time. 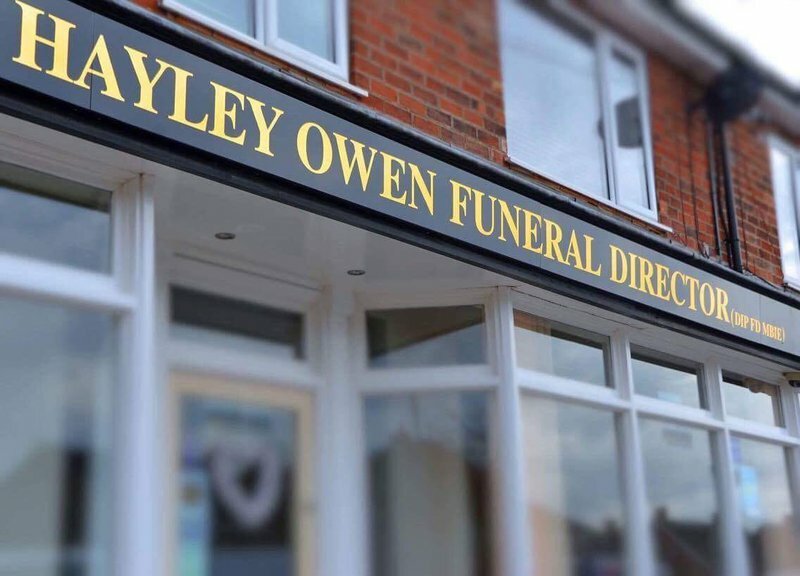 Call Hayley Owen Funeral Directors for more information on various options or to arrange a memorable funeral service for your loved one. Fantastic service lovely helpful people did everything for us and had mums funeral sorted in a couple of hours taking the stress off of us three siblings. Hayley was wonderfully understanding, supportive and caring throughout, from our first meeting onwards. She explained everything we needed to know and was everything our family needed at this very sad and difficult time. Our family would highly recomend Hayley to anyone. Hayley is a kind compassionate young women who made the organising of my Dad's funeral as stress free as possible. I would highly recommend Hayley's services. brilliant care and service to us the family. highly recommended to anyone needing to use a funeral director thank you. Hayley and the team were so thoughtful and sensitive. They were able to do everything we needed and we felt that they really cared about us all. A lovely personal service. Caring and very supportive. Everything professionally handled with sensitivity and compassion. Extremely pleased with Hayley and her colleagues. Thoroughly attentive to both the difficult circumstances and the needs of the family. Nothing is too much for her and she and her team do everything can to make a difficult day run as smoothly as possible. Excellent service and a credit to her profession. Haley and team are so sympathetic, professional and caring. Haley portrays a calm confident organised manner, always there when you need her. At such a difficult heartbreaking time it's so reassuring to have someone like Haley to help and reassure you. Very friendly, personal & sympathetic service provided by Hayley and her team. Helpful advice was given all my wishes taken into consideration. It’s not a service you want to use in the first place but Hayley made the whole process as stress free as was possible. 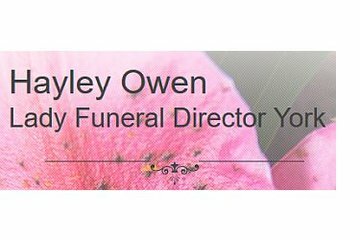 Would certainly recommend Hayley Owen Funeral Services. Hayley Owen's is a unique place and has recently been perfect, twice, for our family. Delightfully quirky, genuine and with no request deemed too small or tall, Hayley and team helped us to navigate the funeral process, to ensure we felt we had the 'right', personal experience in saying Farewell to our Parents. I thoroughly recommend Hayley Owen Funeral Directors in York. Hayley and Dave helped us to give my husband Chris the "send off" he wanted. They were kind, considerate, compromising, humorous and above all gentle at a time that was quite challenging. I am so pleased he and I chose them when he knew his time on this earth was almost up. Hayley and her team are everything you need in a funeral service - discreet, caring, understanding, human, attentive to detail and just the right level of present and directive on the day. We couldn't recommend her more highly. Hayley Owen Funeral Services York will provide you with a free obituary as part of their service.